Even if you’re not a petrolhead, chances are you might have heard about what a Mclaren F1 represents aka the first ever ‘Hypercar’ in the world. It was revealed over two decades ago, where it managed to stun the world in 1992 with it’s functional, but stunning good looks, 6.1 liter 618bhp BMW derived V12 engine delivering the 0-62mph time in just 3.4 seconds. However, the most notable feature of this car was its three-seater layout and a top speed of 253mph. I’m sure the majority of us will be able to recall the legendary hypercar from Need for Speed 2. Fast forward to 2017 -nearly a quarter of a century later- Mclaren has finally decided to step it up and develop a replacement model. While this replacement is not expected until at least late 2019 but that hasn’t stopped Mclaren from regularly dropping teasers now and then. 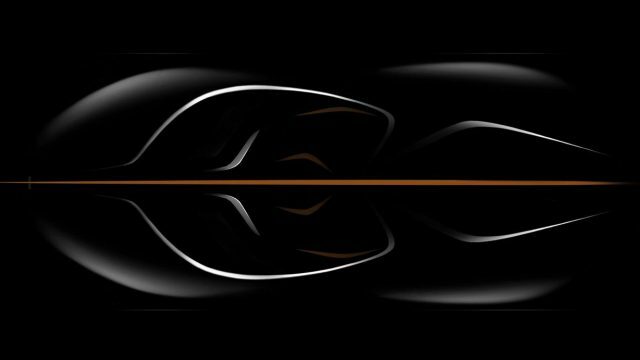 This time around Mclaren has uploaded two design sketches of the F1 replacement currently code-named as Project BP23 to give us our first glimpse of what the upcoming hypercar might look like. Mclaren has already confirmed that it will retain the three-seater layout and only 106 units will ever see the lights of production line-up. Coincidentally, the same number as the original F1. 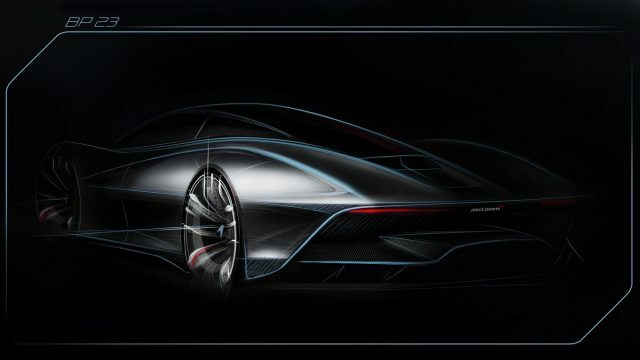 While performance figures are still a mystery to us, it has been rumored that Mclaren is going to use an upgraded version of the P1’s hybrid electric drive system and will potentially deliver 1000+bhp to the rear wheels. Mclaren has said that the F1 replacement will be in a class of its own as their marketing it as a “Hyper-GT,” that means you’ll be able to commute with the car on Monday and set a blisteringly fast lap time on a track on Sunday. It will be the most powerful and aerodynamic road-going McLaren ever built and yes before Mclaren has even gotten around to finalizing the design all 106 examples have been spoken for, all we’re left wondering is whether or not Mr. Bean(Rowan Atkinson) got an allocation or not?